...even an 8-year-old can do it! My brother sees me crafting all the time, and wants to participate. Usually, that's not much of a problem, but when it comes to knitting or embroidery, I figure, teaching him would be a project in itself. 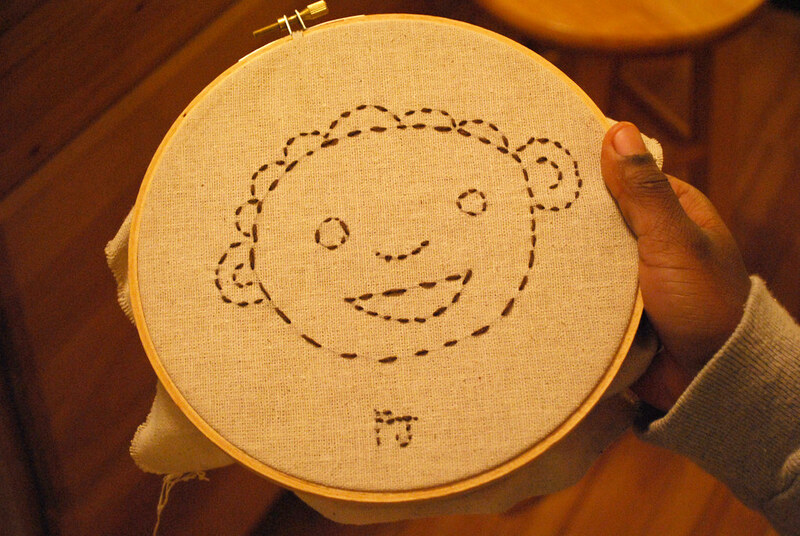 But after seeing this over on Flickr, and talking with a neighbor about how her 6-year-old son wants to learn to embroider, I thought I'd give PJ a chance to try it. He didn't want to do his own design, but asked me to draw a "brown boy like me" for him to stitch. Using brown, I folded the thread over so that he wouldn't have to worry about losing the needle. 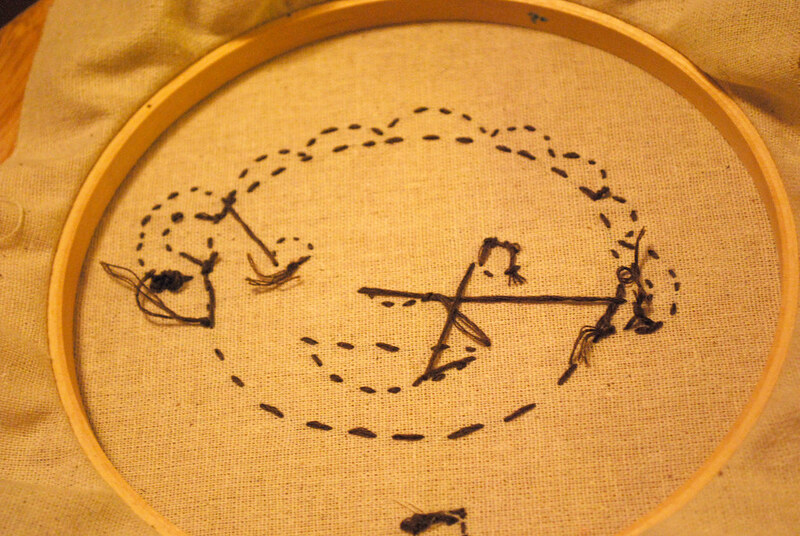 Then I showed him how to do a running stitch and follow the line. He went to town. The only times he needed help were when things got a little tangled (ever forget where your thread is and end up wrapping about the hoop? ), or when he needed to tie off and start new thread. For a first time at this...wow! He impresses me all the time. And now he has something he can make for Christmas gifts. He's announced that his next project will be a snowman. I love it. how cute!!! He did an amazing job! that is the sweetest thing ever!! Awesome! I've scheduled a link to this post to go live on my blog tomorrow morning (Central USA time). I hope it brings you (and PJ!) a few extra clicks.